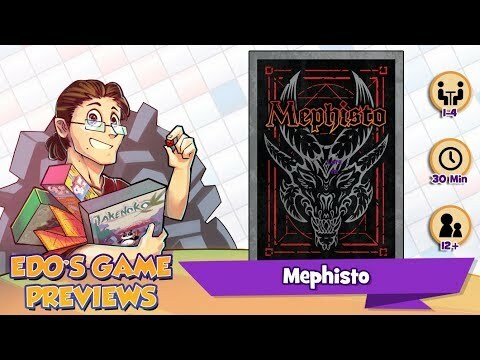 Mephisto is a 1-4 player dungeon crawling card game where you play as a power hungry adventurer who’s made a deal with the archdemon Mephistopheles. In exchange for unholy strength, you must collect the souls of monsters you defeat in the dungeon. The catch is — you aren’t the only one who’s agreed to this pact, but only one of you will receive the demon’s gift. Race to collect the most souls for Mephisto before time runs out or be doomed to serve the beast for eternity!